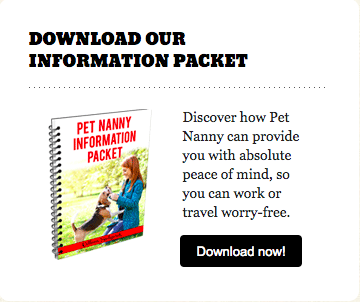 Pet Nanny recognizes that each and every pet is different with an assortment of needs. 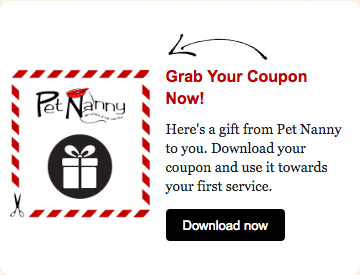 Please email us so we can customize your own pet care plan at no cost. You will receive an estimate of all charges before your registration meeting. Does your pooch need some relief and exercise mid day? We’ll be there! One of our caregivers will visit your home between the hours of 11am & 3pm to walk your dog, play ball in the yard or give them some well-deserved love and attention. It’s your choice! This is a discounted rate. You must schedule PN at least once per week with a monthly booking to qualify for this rate. If not, the regular pet sitting rate will apply. We also offer 15, 45 & 60-minute visit options. Headed out of town or out for the night? Count on us! One of our caregivers will visit your home up to 4 times per day, Morning, Mid Day, Evening and Late Night to take care of your precious pals. We will also bring in your mail, take out the trash and water a few indoor plants at no extra charge. No longer than 12 hours ever goes in between visits. For example, if your pooch were visited at 8pm, the Pet sitter would arrive at your home no later than 8am the following morning. 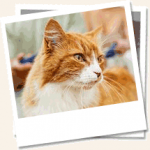 One of our sitter’s will come to feed and love your kitty or small animal. We’ll also scoop the litter, bring in the mail, take out the trash and water a few indoor plants at no extra charge. Is your pet scared of the dark? Do they get lonely at night? Have one of our sitter’s spend the night to give your pets and your home the added security. This service includes a 1-hour morning visit, a 1-hour dinner visit with 9-hour sleeping stay. This is an extremely popular service. We book up quickly so make your reservations as soon as possible. Do you need anything special done? Our mission is to make our customers time away from their homes and their pets as stress-free and easy as possible, which is why we offer a variety of concierge services. If you need something taken care of that we don’t have listed, feel free to email us what you need and we’ll see if we can get it done for you. We’re here to help in any way we can.